I’m seeing possible trends on the 1-hour charts and a possible breakout on a longer time frame for the crosses. Here’s what’s up! 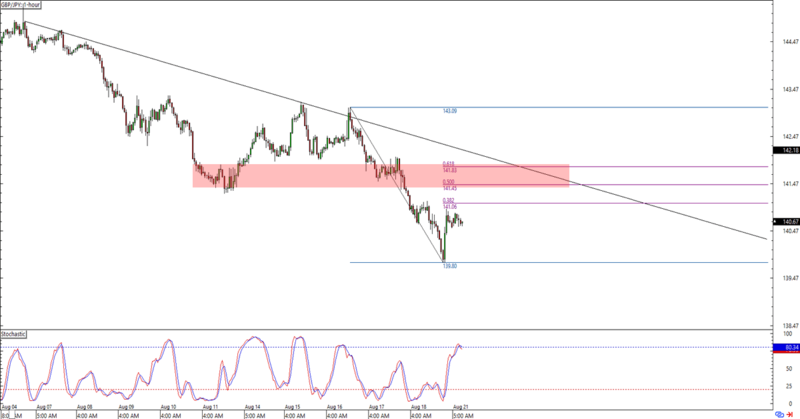 After breaking below a range late last week, EUR/JPY looks determined to make the previous support a resistance area. 128.50 is the level to watch, as it lines up with a mid-channel resistance on the 1-hour time frame. 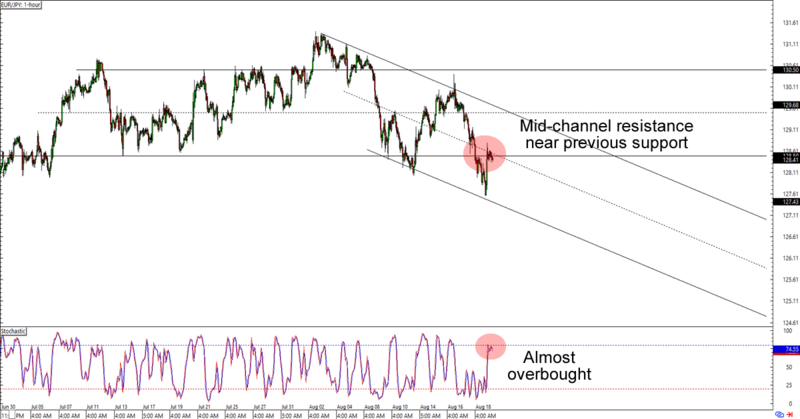 Stochastic is almost overbought, so the bears could still manage to extend a downside momentum. There aren’t a lot of major reports from the euro zone, but my homie Draghi will get plenty of press time which could liven up volatility for many euro pairs. Guppy broke below a long-term descending triangle last week but if you missed the action, then this week’s setup is for you. Watch out for a possible retracement to 141.50 as it lines up with a previous support area near the 50% – 61.8% Fib and a falling trend line on the 1-hour chart. Stochastic has just hit overbought territory, though, so the pair could also head lower without hitting the retracement area I’m watching. I’ll look for opportunities to short during the second GDP release and keep my only eye out for other catalysts that might drag on the pound or boost the yen. 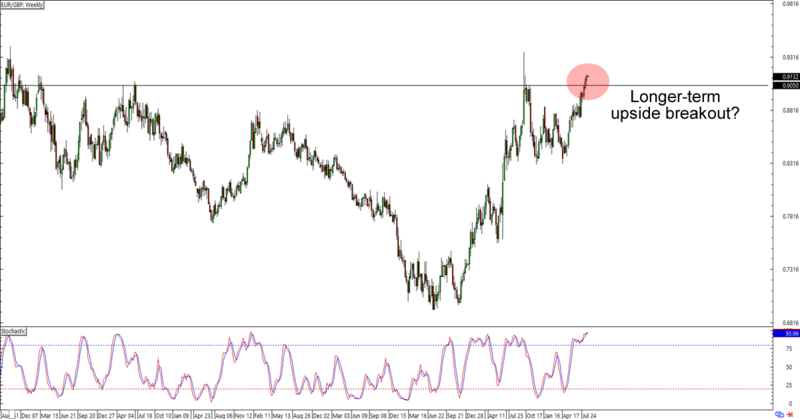 Last week we checked out a triangle breakout on EUR/GBP’s daily time frame. But do you know why it hasn’t gotten a lot of momentum since then? That’s because it’s slowly (but surely) breaking above a major resistance level on the higher time frames! With the pair almost close to last year’s highs and stochastic already hitting overbought levels, you can bet yo pips that traders will be watching for reasons to short this pair. But if it sustains its bullish momentum, then we could also look at possibly putting in long positions until it hits its previous highs. What do you think?